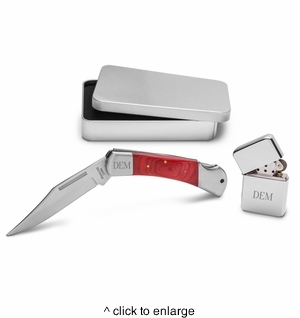 DETAILS: Personalized Yukon Lock Back Knife and Lighter Gift Set is a perfect gift for your favorite outdoors-man. Add a final touch by adding up to 3 initials to the lighter and knife. Personalization must be identical.